Chulu East (6,584 m) is situated high above the Manang valley with breathtaking views across to the Annapurna II, III and IV, Gangapurna, Glacier Dome, Tilicho Peak and Manaslu. Chulu climb is united with the classic trek around the Annapurna circuit, walking the Marshyangdi valley and passing the Thorong La, before descending the Kali Gandaki valley to Pokhara. Chulu peak climb is technically straightforward and you should be familiar with the use of your equipment, crampons, harness, ice axe, tying knots and handling climbing ropes. Most of Chulu East climbing will be involved walking roped together, including the glacial crossings. Climbers should be very fit and have good experience of climbing. Chulu East peak first climbed in 1955 by a German expedition via the north-east ridge. Chulu North-East Ridge is considered the normal route to climb Chulu peak from a Base Camp on the moraine at 5334m (17500ft). 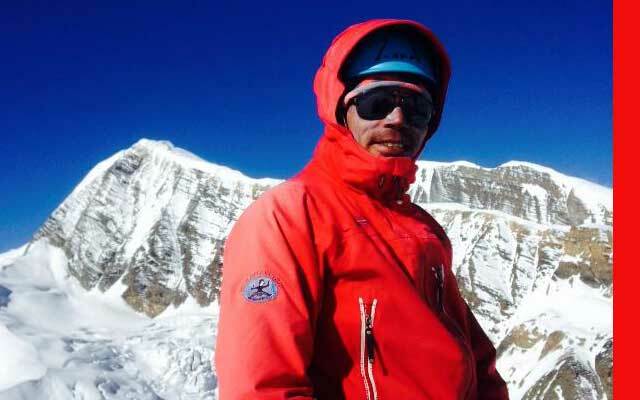 Most climbers make it to the top and back from Base Camp in one long day although some have, in the past, established a Chulu higher camp somewhere below Chulu peak. Another subsidiary peak called Chulu Far East 6429m may also be attempted from this approach. Asian Hiking Team organize the Chulu East climbing fix the High Camp and Camp I, than summit the peak. It is not possible summit without fix Camp I. The itinerary start from besi Sahar but now a day seasonal road goes to Chame. 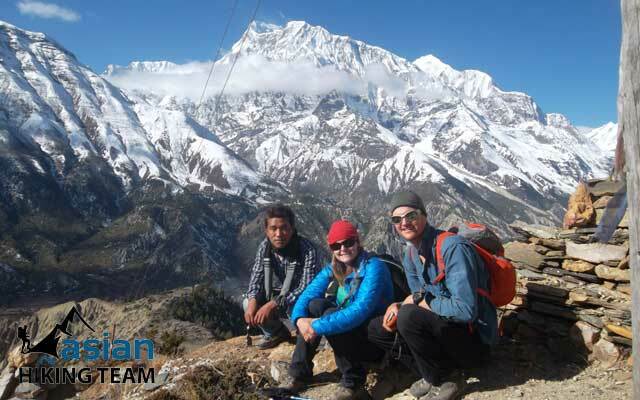 After finish your climbing either you can return same way or continues trek to Annapurna circuit. Day 01: Arrive Kathmandu & transfer to Hotel, overnight at hotel (BB). Day 02: Sightseeing in Kathmandu & Prepare for Trip, overnight at hotel (BB). Day 03: Drive to Besisahar continues drive to Jagat 1350m, overnight at Guest house/Hotel (B/L/D). Day 04: Jagat - Dharapani 2000m. 6hrs, overnight at Guest house/Hotel (B/L/D). Day 05: Dharapani - Chame 2710m. 6hrs, overnight at Guest house/Hotel (B/L/D). Day 06: Chame - Pisang 3210m. 5 hours, overnight at Guest house/Hotel (B/L/D). Day 07: Pisang - Trek to Julu /Yak Kharka, 4500m, overnight at Camp (B/L/D). Day 08: Rest day at Julu/Yak Kharka for local excursion, overnight at camp (B/L/D). Day 09: Trek to Chulu East Base Camp. 4700m, overnight at camp (B/L/D). Day 10: Rest day in Base camp, preparetion for climbing, weaather or any case (B/L/D). 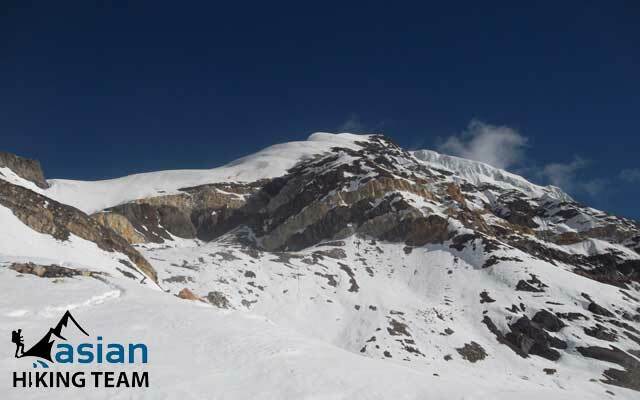 Day 11: Trek to High Camp 5200m, overnight at camp (B/L/D). 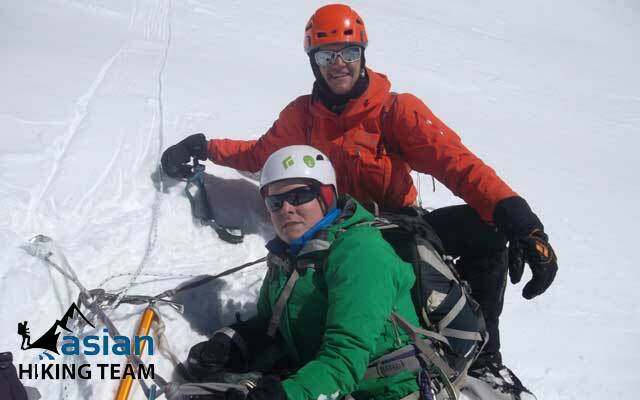 Day 12: Climb from High Camp to Camp I, 3-4 hours climbing, Overnight camp (B/L/D). Day 13: The Summit day - Climb Chulu East 6584m. & return to Base Camp, overnight camp (B/L/D). Day 14: Spare day for summit (B/L/D). 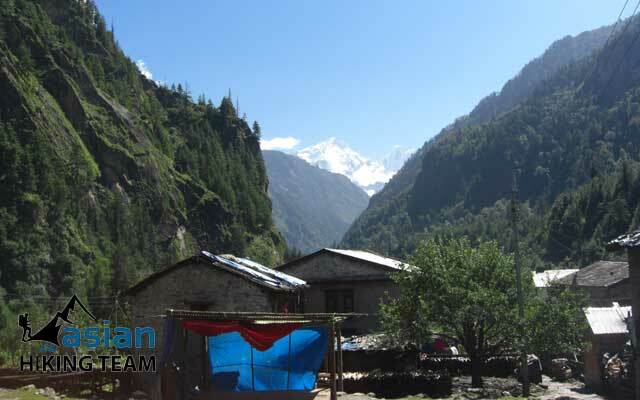 Day 15: Trek to Manang 3500m, overnight at Guest house/Hotel (B/L/D). Day 16: Trek to Thorong Phedi 4450m, overnight at Guest house/Hotel (B/L/D). Day 17: Cross Thorong La 5416m.and trek to Muktinath 3800m, overnight at Guest house/Hotel (B/L/D). Day 18: Trek to Jomsom 2700m. 5hrs, overnight at Guest house/Hotel (B/L/D). Day 19: Jomsom to Pokhara by Flight or drives, overnight at Guest house/Hotel (B/L/D). Day 20: Pokhara to Kathmandu (Fly/Drive), overnight at Guest house/Hotel (BB). Day 21: Extra day in Kathmandu, overnight at Guest house/Hotel (BB). Day 22: Departure or next trip (BB).